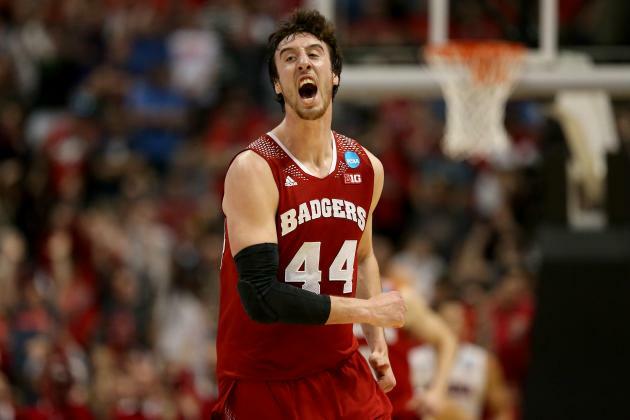 History in the NOT making, as Wisconsin gets revenge at the 2015 F4 against Kentucky who was 38-0. and searching for history’s first 40-0 season. kentucky won the first F4 game vs. Wisky in 2014, setting up the re-match. The phrase “if only” is the spandex of rationalization. It can stretch as far as we need it to in order to accommodate the list of considerations we want to include. The danger of “if only” is that it may breed too much regret or function to deflect or displace responsibility. At times, the “if only” may attach to a person’s actions in her own past. It can also attach to the actions of another. And finally, it may attach to factors and considerations that are largely beyond our control. An “if only” may be accompanied with regret or resignation, or it may be conjoined with defiance and accusation. This same idea is sometimes expressed in my circles as… shoulda’, woulda’, coulda’. So, realizing from the git-go that it is easy to criticize and second guess in hindsight, the following is simply an observation without intent to criticize. This was a most remarkable year for The Big Blue, and I could only barely be more proud of what they accomplished. Dekker had his way with Kentucky’s all-time best defense getting to the rim for and1’s and busting a pressure three point shot late in the game to ice the victory. 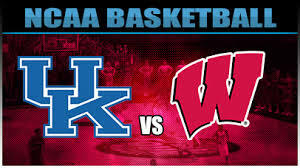 This year’s Wisconsin Final Four best version of themselves (v2.0.W2015) was a much improved and more formidable foe than (v1.0.W2014), and who re-matched up well and played even better, and deserved to win the game against our own new and improved Wildcats. And yet, before game time, and even late in the game I was quite confident of a Kentucky win. What went wrong? Was it outlier shooting? No. Rebounding? Little bit. What? Relaxed and ready, this time the Tank didn’t, beating Kentucky inside on multiple Gumby type stretch moves on the low post and hitting big threes. As my amateur analytics nickname among friends (Nostrathomas) faithfully represents, I think I can with some extra effort consistently and accurately “remote view” how critical games will most likely be played out… by simply but thoroughly using each team’s season statistical (team and individual) data for reference. Now, I may or may not ably predict the winner of every game, since reality has its funny way of creeping into statistical equations and never have I seen both team’s match their norm within one contest. Even so, I think I can reasonably assume that I understand what both coaches will (need) to do strategy-wise in order to enjoy their best statistical chance of winning since it is based upon those norms. Of course, the game is played on hardwood not paper, but statistical analysis has proven its worth time and again in nearly every sport where enough crucial data is available. Sorry Mr. Barkley, but it is The New Paradigm. Think of Backgammon. The dice, with their built in statistical odds always contain a measure of luck, while in-game strategy represents how to move your side once the roll is performed in order to achieve the best statistical position to best compete to win. While you can’t control the dice, you can control the move if you understand how and can calculate odds. It can be summed up by saying ‘move your side to your opponent’s roll’s worst statistical advantage, and to your next roll’s best statistical advantage. With proper weighting of statistical averages in enough critical categories using two team’s defensive and offensive strengths, some knowledge of the game’s “intangibles”, and taking into account a number of obscurities which can sometime affect outcomes, one can pit strengths vs. weaknesses of both teams and usually find areas for both teams to exploit and the odds for/against. There is a degree of subjectivity involved, though it is relatively small. Against Wisconsin, somehow my tea leaves apparently didn’t match those of John Calipari’s analytics guy, or maybe JC didn’t listen, or ask his advice. My analysis was quite clear, and I believe Kentucky’s game plan and/or lack of recognition in-game of the proper statistical strategy was flawed enough to allow for an upset, despite us playing pretty decent basketball. I disagree with those who feel Kentucky played poorly, and contend that we didn’t prepare the most likely proper coherent winning strategy based on the numbers, nor did we adjust in-game situation strategy at critical junctures. John Calipari may be the only one who could stop Devin Booker from shredding Wisconsin from deep, as they were a poor defender of the 3 pt. shot all season ranked #301, and they sagged off of the perimeter permitting Kentucky to look for the three ball. For some reason, The Cats only took 4 threes, making 3 of them all game, instead forcing the ball inside. Kentucky’s lack of attempts at three point shooting was critical to the outcome of the game, especially considering the poor in-game rebounding numbers as it unfolded. Wisky was one of Division 1’s worst (#301) at defending the three. Kentucky had three guards (Andrew Harrison, Tyler Ulis, Devin Booker) who had a 40% combined three point average for the season. Ironically not included was Aaron Harrison, who was widely known as a big-shot maker under pressure. Harrison shot under 30% threes over the season, however, he was shooting the three at a 60% clip during the NCAA tournament. Go figure? Wisconsin’s sagging defense from the outset to eliminate entry passes to the bigs and clog the lane opened vistas of opportunity for a well coached offense wanting to the exploit the three point shot. Yet Kentucky took a dismal (3) three-pointers during the entire game (save a 26 foot heave with 8 seconds left that wouldn’t have likely mattered), and made all three of them. Hmmm? The perimeter play and in-game passing clearly spoke to the idea of forcing the ball inside, and not the quick crisp passing one would expect to see if the idea had been to free up shooters on the perimeter. The Wisconsin players post game confirmed the idea of sagging and wanting to limit KAT’s touches down low. Personally, I would have expected that having a nuclear weapon like Devin Booker available demanded that we attempt to free him up with a set play or two. We not only played a whole game with his big gun in the locked position, but it meant we would suffer his only perceivable downside (single coverage defense). I don’t think that Devin was allowed to be the best version of himself against Wisconsin. I expect he was disappointed in not getting some open looks behind the line and my money said he would light up Wisconsin if he had. Shoulda’, Woulda’, Coulda’. 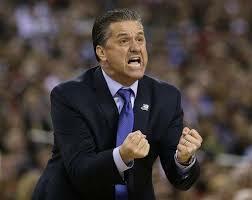 Did Calipari’s pain after the 2010 West Virginia debacle (3-28 3pt. shooting) affect his decision making in 2015? 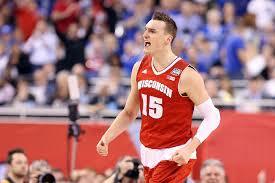 He had stated publicly that he wasn’t going to lose another tournament game at the three point line. Did he just lose one at the three point line… by not shooting them? The mere fact that it seemed Kentucky took the air out of the ball after forging a 4-point lead and subsequently committing three successive clock violations is enough proof to me that players were instructed not to look for the three, despite our clear advantage in this area. Three point shooting teams in the hunt rarely, if ever have to worry about shot clock violations. Interestingly, in my game analysis there were no other serious red flags, and the teams appeared much more alike than they were different, with Kentucky holding a slight but perceptible edge in a few key areas. Wisky’s offensive numbers essentially nullified our defensive prowess, and so any small advantages were to be on the offensive end. I figured that in a 7-game series, Kentucky would likely win in six games with one in double figures, if there weren’t any outliers. The first game is typically the favorite’s best statistical advantage in a series. Personally, I love John Calipari as coach and I hope he never leaves (at this current performance rate). Usually he adjusts in-game according to other team, dissecting the flow and dynamics of the game. And, it would be unfair not to mention that his game plan brought us back from two large deficits, and captured the lead mid-way through the second half, all without looking for the three-ball. And, we nearly won despite not taking advantage of the only glaring statistical difference we owned.